Remember the candy of your childhood? Fun dips, Tootsie rolls, Starburst and more? Who doesn’t love sugar? I know I do! After all, isn’t candy magic? The issue with most of the candy of our childhood is that it is processed and has a lot of preservatives: artificial colors, waxes, sweeteners and fake flavors But, you still want that sugar rush, don’t you? Then try Quin Candy! 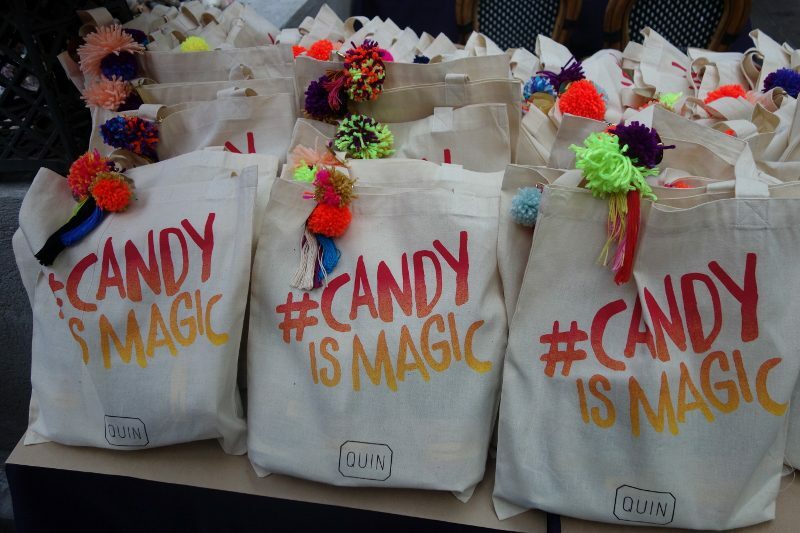 Take the candy of yesterday, re-imagine it, modernize it and you have Quin Candy. From carmels, licorice, lollipops, Dreams Come True (like Starburst), Gumdrops, marshmallow, twizzlie rolls (like Tootsie Rolls), every piece of candy is made by hand using the best ingredients possible, such as Oregon berries, housemade coffee extract and more. Watch out for those Popcorn Carmels – my favorites! 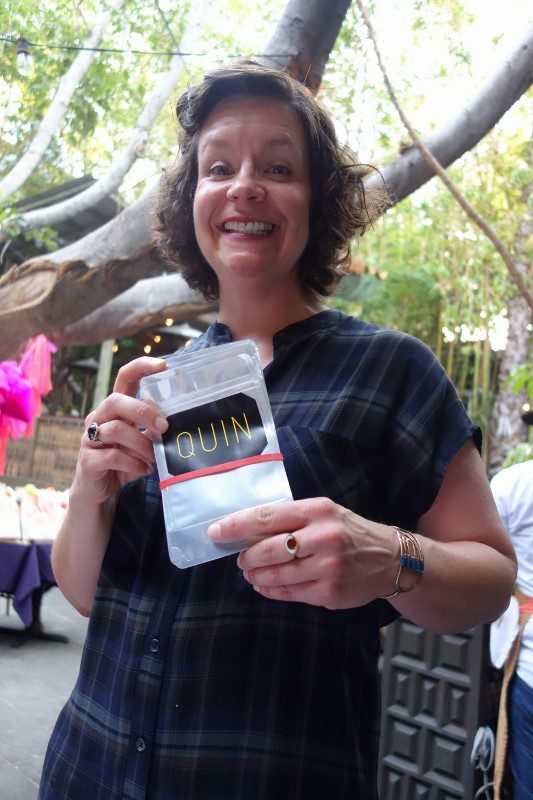 On a recent visit to Los Angeles, Quin founder Jami Curl set up do-it-yourself fun dip stations. We mixed the sugar and citric acid for the sweet and sour and then added homemade lollipop sticks in natural flavors like watermelon, strawberry, cherry and more .We packed them up and took them home to enjoy later. Based in Portland, Quin Candy is available online but also in stores around the country. Check out their website to find a store near you! Candy will never be the same……it will be better……and it will be magic! This entry was posted in Food, Lifestyle and tagged candy, Candy Is Magic, Jami Curl, Portland, Quin Candy by Allison Levine.